Home > Blog > New things! Excited to share a bunch of new releases today! 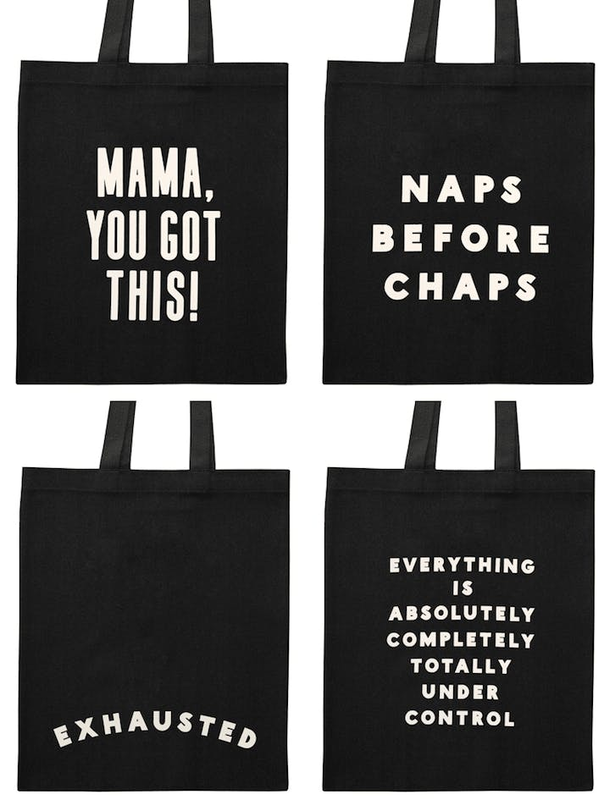 At long last we have extended our collection of black cotton totes, hooray! We've got one for all the amazing mamas, something for sleepy souls and one for totally organised individuals (or those who are faking it)! Each design has been printed in white on lovely black cotton. Lovingly stitched and printed in the UK using terrific heavy weight cotton. We have also added a few new bits which would make perfect gifts for Mother's Day, which is now fast approaching! There's our 'Mother of All Mothers' extra large pouch, ideal for storing nappies, wipes and baby essentials. This large clutch is perfect for mums looking to carry baby supplies in style when out and about and is also perfect for storing makeup and travel essentials. The perfect gift for that special mama who needs a little reminder that she is the mother of all mothers! Also new today is our 'You Look Lovely Today Mum' ombré makeup bag. 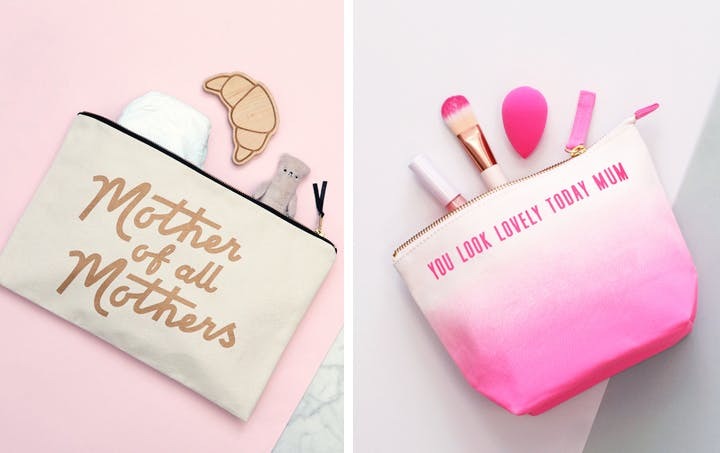 Our cosmetics bags are ideal for when out and about and just the right size for all your makeup essentials. The design has been printed in hot pink on a white canvas and hot pink ombré makeup bag. The interior is lined with hot pink nylon taffeta. Your mum will love it! You can feast your eyes on all of our newest releases by clicking here. We hope you like them!